WELCOME TO THE “LOYAL CLIENTS” PROGRAM OF “AIR TICKETS” LTD. Upon receiving the Clients card Clients card for the “Loyal Clients” Program of travel agency “Air Tickets” Ltd., our clients receive a 50% discount from the Service fee for issuing air tickets and when ten air tickets get issued, they receive a one-time 5% discount from the total amount of one air ticket. After completing a reservation, you receive an automatic confirmation email. 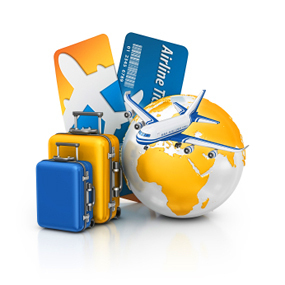 After that you will receive a second email from the “Air Tickets” agents with the correct amount of Service fee and/or the price of the ticket. The 5% discount from the price of an air ticket is valid for one person and can be used for every ten issued air tickets through the website www.airtickets.bg or in the office of the “Air Tickets” Ltd. travel agency at “Mladost 1”, bl. 132, office 3, Sofia, Bulgaria. The full terms and conditions you can find below. The “Air Tickets” team wishes you pleasant trips!